You’ll get by with a little help from our 5 favorite apps. It doesn’t matter if you create manicures that should be featured in an art museum, and upstyles that should grace the cover of Vogue, you need to be just as talented at managing your business and your brand. Success doesn’t happen overnight, but it also doesn’t happen by trying to do everything on your own. Lucky for you, technology, and the MyStylin team, is here for you. New apps are hitting the scene every day, and will take your talents to new heights. Aptly named the house of hair inspiration, Bangstyle should be your go-to source for inspiration. Whether you want to follow celebrity stylists to get a head start on the best trends from fashion week, or get step-by-step instructions from top brands, this app is where you want to be. Be an active user on Bangstyle! Create your own stylist account, showcase your best work and get the recognition you deserve. This app is specifically for beauty and wellness businesses. Register your spa, salon or yoga studio to push out special deals and promotions. The MyStylin App is especially helpful for the independent beauty professional who rents space and is seeking a smart, inexpensive marketing approach to building their clientele. Seven service categories are available to list your area of expertise, along with a product category section to promote your retail items. It’s free for customers, so anyone searching for the best new hot yoga session on the west side can easily find you and register for the next class. Square is a game changer when it comes to accepting payment. You don’t have to spend time investing and training how to use registers and software systems. Instead, you can accept payment on your smartphone or tablet, including tips. Your customers will love the secure, convenient and paperless payment options Square has to offer. Now that you’ve found some inspiration, signed clients up for a new offer and found a convenient way to accept payment, it’s time to think about feedback. TapStyle lets you handle multiple aspects of your business including booking and accounting, but what makes us happy is the customer management feature. It encourages you to keep accurate client notes, and upload pictures of your client’s style if they left the salon ecstatic – which they always do! Sign up for this app and let it do the work for you. 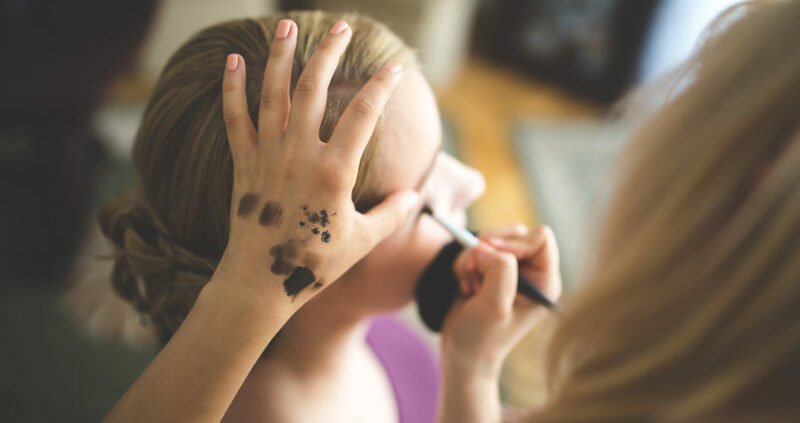 Whether you are a makeup artist, or you have a mobile blowout bar, the app allows customers to ‘order’ your services to their door. The app includes categories covering hair, nails and makeup services, so if you are looking to grow your business with new clients this could be just the ticket. Do you have a favorite app that’s made an impact on your business? We’d love to hear your story in the comments below!